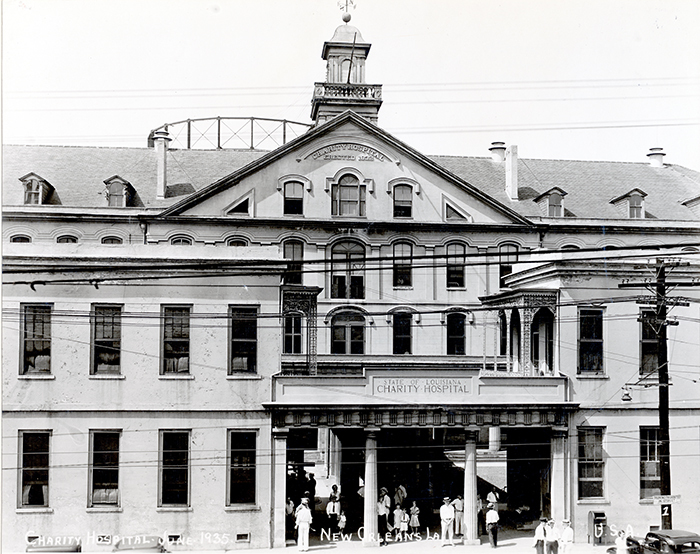 On October 31, 1932, Charity Hospital in New Orleans admitted a comatose man, diagnosed with malaria and thought to be an opiate addict. The patient deserted the hospital after being revived. Two days later, he was once again brought to Charity hospital, again in a coma. He died the following day. Over the course of the next month, five more Charity Hospital patients, all injecting drug users, died of malaria. Over the course of the following year, a total of 48 injecting drug users were admitted to the same hospital with diagnoses of malaria, 10 of whom died. The unknown malaria victim, patient zero in the minor epidemic that followed, illustrates what we might call the “unnatural history” of heroin users in modern America. These unnatural histories are produced at the intersections of heroin users with the criminal justice and mental health systems, with public health systems, with victimization, poverty, disease, and death. And we still know far less about this than we should. We have some helpful frameworks for empirical study (here I’m thinking of Caroline Acker’s Creating the American Junkie, or Nancy Campbell’s Using Women, or Kathleen Frydl’s The Drug Wars in America, to note just a few examples), but SO much digging remains to be done to fully write the history of harm. The history of injection drug use and disease before the age of AIDS is illustrative. Although there isn’t much in the way of systematic data, the vulnerability of illicit drug users to various blood-borne diseases was well understood, especially hepatitis, tetanus, endocarditis, and of course malaria. What can we learn from this one patient, and from the incidence of malaria in New Orleans in 1932-33? Our patient zero, admitted on Halloween 1932, was an injecting drug user. This needs to be contextualized. The concept of injecting opiates was hardly new in 1932, of course, since the practice was well-established in medicine over the third quarter of the nineteenth century. Injecting had not, however, been extremely prevalent among illicit users until the 1930s. The reasons for the shift may have had something to do with a gradual dilution in the potency of morphine and heroin available on the illicit market, though this is not absolutely certain, but it is clear that a shift from inhalation to injection was underway. The diffusion of this route of administration, in New Orleans, happened to coincide with one of malaria’s last surges. There is a legal context for the malaria deaths of 1932-1933. The unauthorized possession of a syringe was against the law in Louisiana. There, as elsewhere, injection drug users responded to the scarcity of legal supply by sharing available syringes amongst themselves. Even more commonly, users began to fashion their own “works” from more readily available materials, like a straight pin and a medicine dropper. Not content with barring syringes, the New Orleans Police Department, in March of 1933, began interpreting the state law against the unauthorized possession of a syringe to include handmade works as well. As a consequence, even rigged-up needles and droppers became dangerous objects to have in possession, and users reported that a single injection outfit would need to be left in a secure place, to be shared without exposing anyone to search and arrest. This is policymaking of a critical kind—below the level of heroin prohibition, below the level of criminalizing syringes, we get the simple decision by the NOPD to interpret state law in a way that criminalized any kind of device for injecting drugs. These sorts of secondary and tertiary policy decisions warrant more attention. There is a public health context for the malaria deaths. The mortality rate for drug-users with malaria in New Orleans was fifteen times higher than for malaria cases in the state at the same time. Drug users suffered a dual dilemma. On the one hand, there was virtually no public health surveillance of the kind that might have identified malaria victims and secured for them prompt medical interventions. The kinds of street outreach we might associate with contemporary harm reduction were virtually nonexistent in 1932 New Orleans. Police or jailers who housed users with malaria routinely ignored their condition. In truth, the onset of chills, violent shivering, chattering teeth, then fever, thirst, and finally the drenching sweat of the fever’s break were more often simply dismissed as signs of withdrawal from opiates, and therefore were of little concern or consequence. On the other hand, there was a general reluctance on the part of opiate users to expose themselves to public surveillance of any kind. The fear of possible legal consequences might in part explain why patient zero of the New Orleans outbreak fled Charity Hospital as soon as he had been revived. But there is, finally, an interesting social context for these malaria deaths. Often cast as a figure of sympathy or victimization by historians, the opiate users of decades past could also make critical choices for themselves. They could adopt strategies for coping, even with the deck stacked so heavily against them. Partly, of course, their choices were framed by their perceptions of social and institutional contexts, perceptions we need to continue to explore. What did patient zero and other opiate users in New Orleans think of the NOPD, Charity Hospital, or any other external agencies? Moreover, how did they themselves attempt to minimize harm and reduce personal risk? It is interesting to note that Charity Hospital doctors observed a reduction of malaria mortality rates over time, something they attributed to “the recognition among the addicts of the seriousness of malaria and this resulting in their coming to the hospital when they first suspect they ha[d] malaria.” Even more intriguing is the timing of the widespread practice of diluting heroin with quinine, which appears to have gained currency in the 1930s, and which some accounts attribute to an informal effort to have the quinine serve as a prophylactic for malaria. The connection is speculative, but points us in the direction of better understanding the strategies developed for maintaining, individually and collectively, personal health and safety.